Maruti Suzuki is known to be most knowledgeable about the mindset of the discerning Indian buyer. It has been building high selling cars for almost 30 years now. For the new Indian generation, the Ertiga and the Swift have proved to be success stories, which can be seen from their high sales figures in the ongoing slump. During the 1990s and after the year 2000, it was thought that no vehicle would ever be able to displace the Maruti 800 from its top position in the market. However, as other companies introduced rivals and began understanding the market better, the dominance of the Maruti 800 started waning. But today, in a different category, Maruti dominates the Multi Purpose Vehicle (MPV) segment with its product Ertiga. This is a vehicle with substantial seating capacity for 7 to 8 occupants and has aesthetically pleasing exteriors. Interestingly, Maruti has positioned the Ertiga in a new sub segment of MPVs. It is the first premium product at an affordable price tag, which has been targeted specifically at the urban customers. Priced between a range of Rs. 5.98 lakh and Rs. 8.70 lakh (ex-showroom, New Delhi), it makes perfect sense for large families. The Ertiga comes with a diesel option and a petrol option, making it economical to run. In terms of power, the 1.4 litre K-series petrol engine generates 93.7 bhp of power, while the 1.3 litre diesel engine in this vehicle produces 88.7 bhp of maximum power. As per reports, more than 70,000 units of the Ertiga have been sold since its launch in 2012. The success stories scripted by Ertiga and Swift in India. Similar to the above vehicle, Maruti Swift has also garnered a fair share of the hatchback market, ever since it was launched back in 2005. It is a sporty hatchback with great looks, good mileage, superb acceleration and handling. For a few years, the Swift commanded very long waiting periods, some even extended up to 6 months. This problem was eventually solved by the management at Maruti Suzuki and now, it can be purchased and owned directly from the showroom. 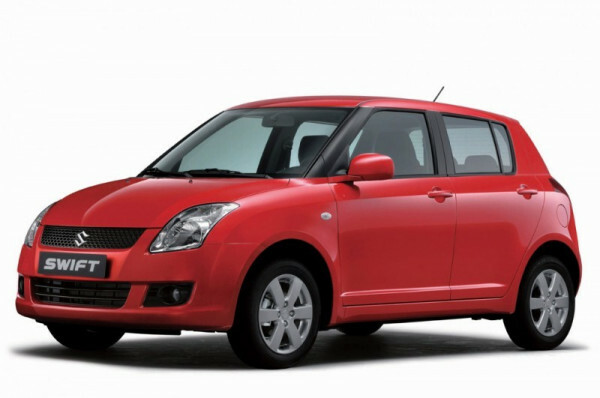 The Swift is available in both diesel and petrol variants. While the 1.2 litre K-series petrol motor generates 84 bhp of power, the 1.3 litre diesel power-mill produces 74 bhp of power, both of which gives this vehicle a great power-to-weight ratio. There are several competitors in the market to the popular Swift, such as Honda Brio, Hyundai i20, Ford Figo. Despite all these vehicles and with a Swift getting a recent facelift, the car manages to hold its forte in the hatchback segment.